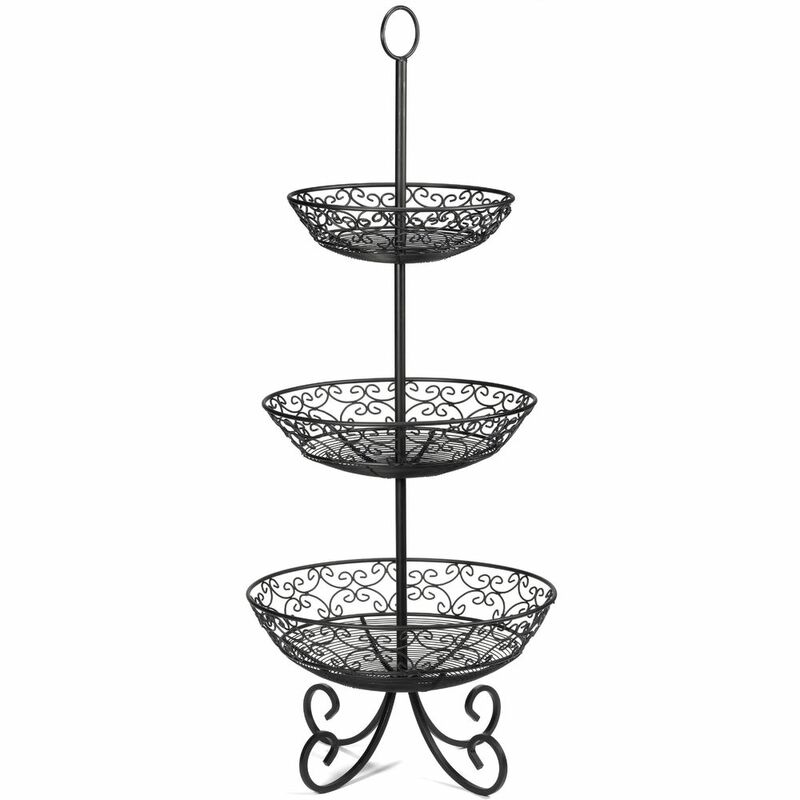 This decorative stand is the perfect product if you are looking to add a stylish feel to your presentation. Classic black metal construction with raised edges that keep contents from sliding out. Baskets measure 10", 12", and 14" in diameter.